This is or was the present day Burnt Corn Hunting Club. 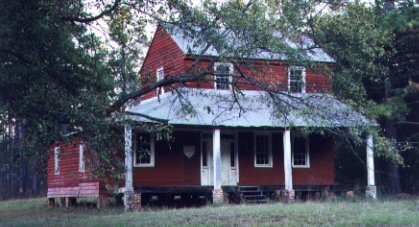 This hunting club is the original Issac Betts House that is located on "Old Federal Road" just down the road from Dr. John Watkins. Unfornateley, this structure was burned to the ground in July 2000. Please read the Mobile Press Register article.